VACAVILLE, Calif. (KGO) -- The California Corrections Department is standing by its decision to send an employee home for wearing a T-shirt supporting President-elect Donald Trump. 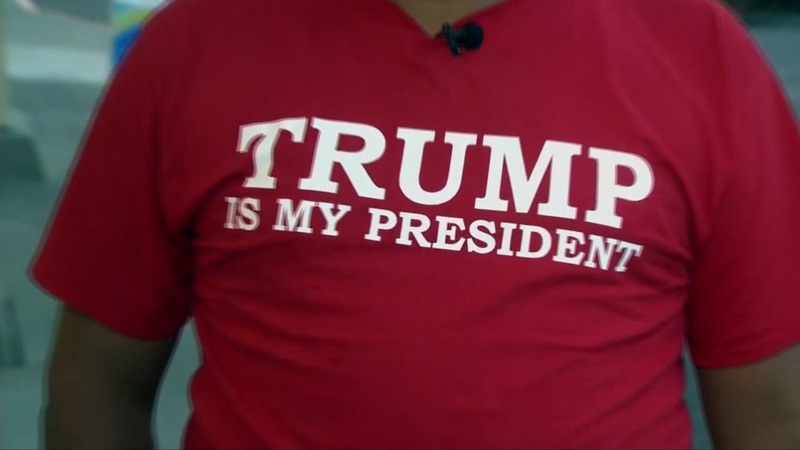 Leo Sanchez says he was sent home from work at the California Medical facility in Vacaville for wearing a 'Trump is my president' shirt. Sanchez has worked as a librarian at the facility, which is a medical and psychiatric state prison for men, for nine years. "I was just expressing an opinion," he said. "Trump is my president. He won fair and square. It's time for everyone to get back together, kumbaya." Corrections officials say their policy is very clear, issuing a statement saying: An employee's political views have no place in a prison setting. Decision to restrict such displays is reasonable, consistent with policy and protection of institutional security. Click here for more stories on Donald Trump.